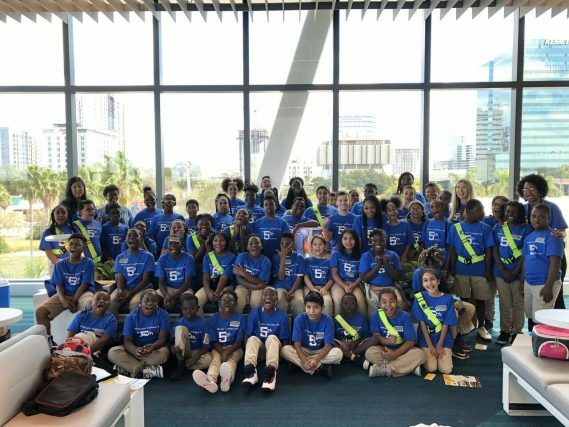 February 7, Brightline hosted 50 fifth graders from Roosevelt Elementary in the Palm Beach County School District to learn more about rail safety with a day of fun and educational activities. 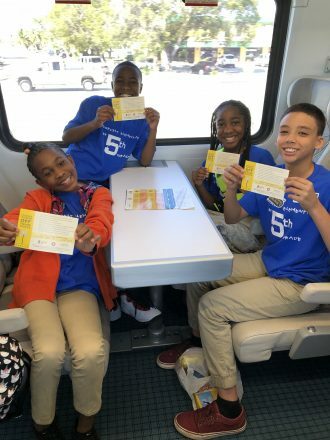 The day kicked off with the kids riding the train to Fort Lauderdale, where Brightline staff held a safety tutorial and various lessons on the importance of rail safety in the community. Children and their chaperones took the rail pledge and committed to staying safe around active railroad crossings. The students were given specific instructions on how to look and listen for trains. 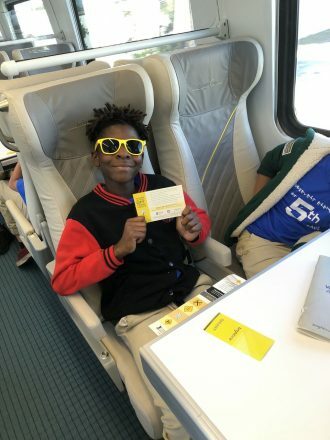 For more than two years, Brightline has implemented an aggressive safety campaign that includes the development of tri-lingual materials that have been distributed in schools, at railroad crossings, local businesses and community events. In 2018, the company announced a partnership with Talent4Change and sponsored the BuzzBoxx, a mobile barbershop that in exchange for free haircuts has children or members of the homeless community take the pledge to stay safe around active railroad tracks. To date, more than 50 BuzzBoxx activations have occurred throughout South Florida. Brightline has also ran more than several thousand PSAs in English, Spanish and Creole and partnered with local law enforcement officials along the corridor and implemented training and safety outreach programs.